Lives Devoted to Social Service: The unique bond of determination and discipline, faith and courage. Shri Bansilalji was born in Moribeda, a village in the Pali district of Rajasthan. His wife, Smt. Sushila Devi was born in Boondi. Shri Bansilal’s father Shri Ramnath was a small shopkeeper. They were a family of four brothers and one sister. The family was not economically well off. But it was determination and the intense desire for success coupled with hard work that made him prosperous in the city of Pune. Shri Bansilal believed that he would be able to cross all obstacles. “One day I shall certainly taste the sweet taste of success, or I shall sleep the eternal sleep,” was his own declaration. This was illustrated in the life of Shri Bansilal. As he grew more prosperous, he began to feel a heightened sense of responsibility towards society, and his thoughts turned towards service. The Bansilal Ramnath Agarwal Charitable Trust is closely involved in social, cultural, charitable and the welfare of society. Sushila Devi was an invaluable partner for Shri Bansilal in all his endeavours. 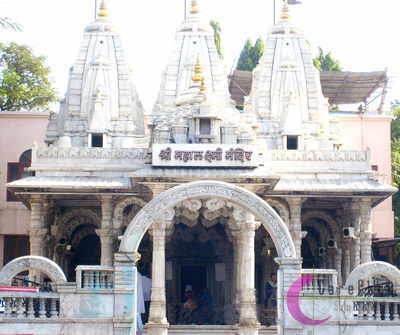 She had arrived in Pune at the tender age of 14 with her husband. She used to be an avid reader of all the holy books, and she provided able support to her husband with her unshakable faith and perseverance. She was a partner in Shri Bansilalji’s social and religious activities overcoming the limitations imposed by domestic difficulties. Her decision-making abilities were truly exceptional and inspiring. In those days, having a bungalow opposite Sarasbaug, Pune was a matter of prestige. 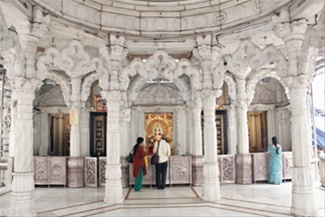 But instead of building a palatial residence there, it was her desire to build a temple. 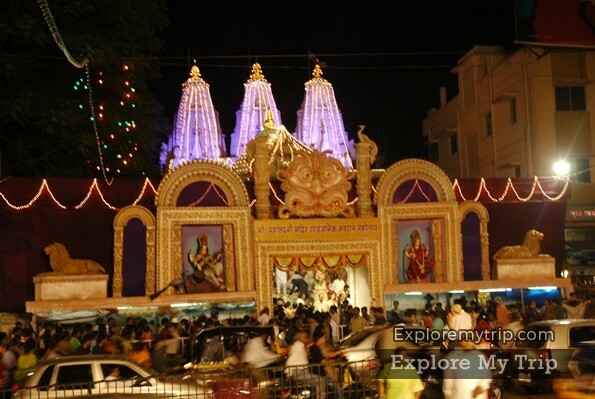 This temple has become dear to devotees not only in Pune and Maharashtra, but all over India.